two famous women aviators Jacqueline “Jackie” Cochran and test-pilot Nancy Harkness Love had presented separate proposals for women pilots to be used in non-combat missions. Meantime, the British government asked Jackie Cochran to recruit American women pilots to ferry aircraft for the British Air Transport Auxiliary, the first organized group of American women pilots to serve in the war. 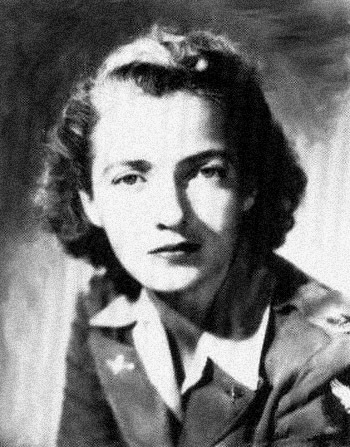 Finally, after lobbying by Eleanor Roosevelt and the military’s realization that there were not enough male pilots, in September 1942 Nancy Love gained permission to recruit women for training in the Women’s Auxiliary Ferrying Squadron (WAFS) at New Castle Army Air Base in Wilmington, Delaware. 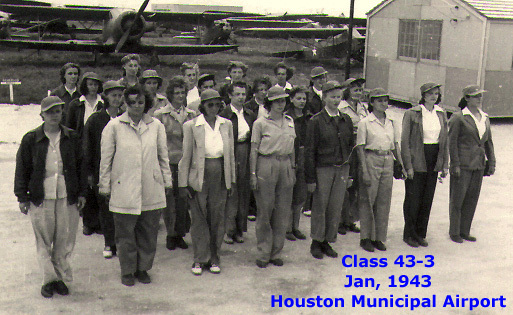 Soon, Jackie Cochran returned from Britain to win appointment as director of the Women’s Flying Training Detachment (WFTD) headquartered at Houston’s Municipal Airport (present Hobby Airport). The new recruits were classified as civil service, not military personnel. Calling themselves “guinea pigs,” the Houston WFTD were housed in motels and private homes and transported to the airfield each day in trailer trucks. They had no life insurance; there were no crash trucks or fire trucks on the airfield, and they had no uniforms. Since there were no facilities for changing clothes they wore the same gear—GI coveralls in the standard size 52, which they called “zoot suits”—to ground school, to drill, to fly, and to march to and from the mess hall. 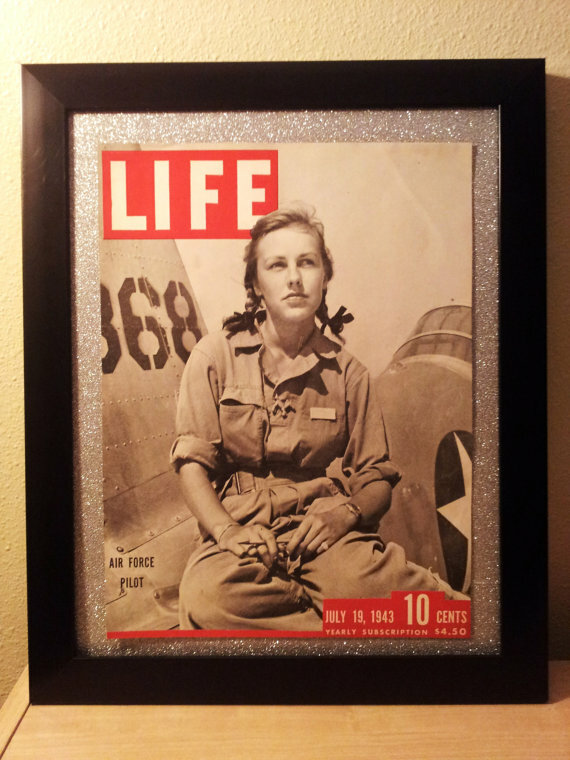 When they were moved in early 1943 to better quarters at Avenger Field—the only all-female air base in history—at present Sweetwater, they had to pay their own way and pay for their room and board. If they washed out of the program, they had to pay their fare back home. After the WFTDs and the WAFS merged in August 1943 to form the Women’s Airforce Service Pilots (WASPS), Jackie Cochran became the director of the program and Nancy Love headed the ferrying division. Jackie Cochran recruited women from all over the country but excluded black pilots claiming that since the program was new, innovative, and not very popular, including black pilots might endanger the service’s status. More than 25,000 women applied, fewer than 1,900 were accepted. After seven months of military flight training, 1,074 earned their wings to become the first women to fly American military aircraft—a rate comparable to male cadets in the Central Flying Training Command. The WASPs were all pilots with a minimum of 100 hours when they entered the service, but they were trained to fly “the Army way.” Their program followed the same course as male Army Air Corps pilots except for no gunnery training and very little aerobatic and formation flying. The women received 210 hours of flying time divided equally between PT-17s, BT-13s, and AT-6s. The WASP flew sixty million miles ferrying 12,650 aircraft from factories to military bases and ports of embarkation. They towed targets for live anti-aircraft artillery practice and flew simulated strafing missions, even dropping tear gas and other chemical agents during the training of ground troops. They accepted the very dangerous task of testing damaged airplanes. As part of bomber crew training, WASPs flew the aircraft while male combat trainees practiced as bombardiers, navigators, and gunners. When the AAF reached a surplus of male pilots toward the end of 1944, it was determined that the WASP was no longer needed. By the time the WASP was disbanded on December 20, 1944, thirty-eight had been killed in accidents—eleven in training and twenty-seven during active duty. Since they were not considered military, the dead were sent home at the family expense and did not receive military honors. Even their coffins could not be draped with the U. S. flag. 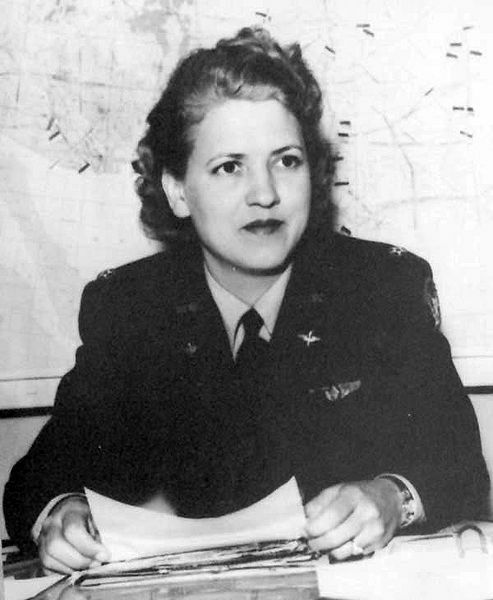 In her June 1, 1945 report, Jackie Cochran wrote that WASP safety, accident, and fatality rates compared favorably with male pilot records. Despite her report, WASP records were classified secret and sealed, not to be released for thirty-five years. Ironically, Colonel Bruce Arnold, son of General Hap Arnold who had originally been opposed to women pilots, began lobbying in 1975 to have the WASPs recognized as veterans. With the help of Senator Barry Goldwater, who had served as a WWII ferry pilot, Congress passed the G.I. Bill Improvement Act of 1977, granting the WASP corps full military status for their service. 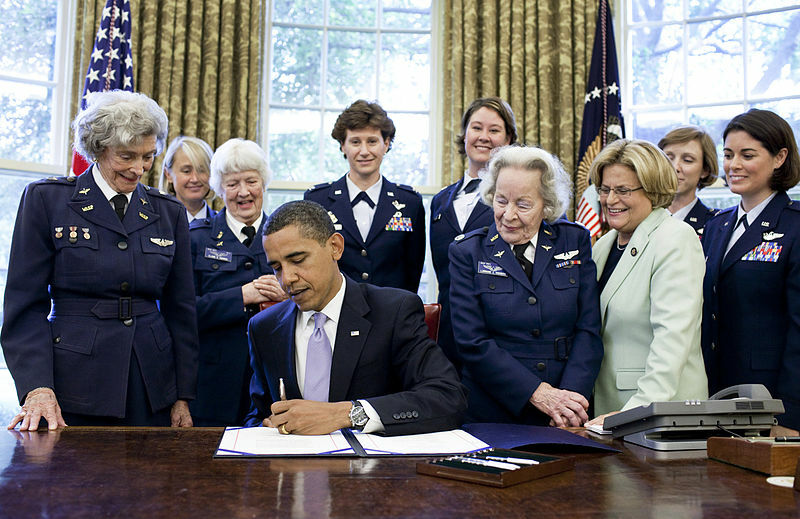 July 2009, President Obama signed WASP Congressional Gold Medal into law. attacks during their training and the scheme remained a secret because of the United States’ neutrality laws. Young British Cadets receiving their BFTS uniforms. council offered to install all the facilities at no cost. The young, future pilots were flown to Canada where they were discharged from the RAF, given a six months U.S. visitors visa, civilian clothing, and then flown to Terrell where they were welcomed with open arms. One account says the pilots had some difficulty understanding “Texas talk.” For instance, when they visited in local homes, which they did frequently, the residents often said as the students left, “Y’all come back,” which resulted in the young men turning on their heels and returning immediately. After some explaining, the pilots understood that no one meant for them to return that instant. The expression was intended as a welcome for future visits. Many of the Brits had not even learned to drive a car before they arrived in Texas to learn to fly airplanes and they knew nothing about Texas. They wore wool clothing, which they quickly abandoned. They expected cowboys and Indians and were surprised to discover ordinary folks. After the attack on Pearl Harbor on December 7, 1941, and the United States entry into World War II, the training was no longer kept a secret. The young men donned their blue RAF uniforms and continued training. The two-year program was compressed into about seven months, which required flying seven days a week from five A.M. to ten P.M. Upon completion of the course, the pilots returned to Great Britain and another class took their place. By August 1945 when the program ended, more than 2,000 cadets had earned their wings and established many life-long friendships. More than one-third of the graduates were killed in combat. Twenty died during the training exercises and Terrell residents, who adopted the young men as their own sons, buried them in part of the Oakland Memorial Park Cemetery, which is maintained by the Terrell War Relief Society. Terrell’s No. 1 British Flying Training School Museum, the largest of its kind in the United States, displays log books, training materials, WWII memorabilia, and uniforms. In March 1941 the United States and Great Britain established a secret operation to train Royal Air Force (RAF) pilots in six civilian U.S. aviation schools. The plan was instituted in order to locate the RAF pilots out of danger of constant aerial attacks during their training and the scheme remained a secret because of the neutrality laws in the United States. 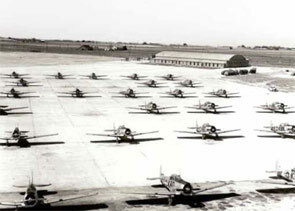 Terrell, a town of 10,000 just thirty miles east of Dallas became the first and largest British Flying Training School. Local residents were so delighted to take part in this patriotic mission by allowing the pilots to train at a field used by a small flying club that Terrell’s town council offered to install all the facilities at no cost. The first fifty future pilots were flown to Canada where they were decommissioned by the RAF, given a six-month U.S. visitors visa, and outfitted in civilian clothing. From Canada they were flown to Terrell where they were welcomed with open arms. Their training began on August 11 and as each group completed the two-year program, which was compressed into about twenty weeks, more students joined the school until it reached a capacity of 200. One account says the pilots had some difficulty understanding “Texas talk.” For instance, when they visited in local homes, which they did often, the residents upon departure kept saying, “Ya’ll come back,” which resulted in the young men turning on their heels and returning immediately. After some explaining, the pilots understood that no one meant for them to return that instant. The expression was a welcome for future visits. Many of the Brits had not learned to drive a car or been in an airplane before they arrived in Texas to learn to fly and they knew nothing about Texas. They wore wool clothing, which they quickly abandoned. They expected cowboys and Indians and were surprised to discover ordinary folks. After the attack on Pearl Harbor on December 7, 1941, and the United States entry into World War II, the training was no longer kept secret. The student pilots, who were finally able to wear their blue RAF uniforms, continued training, and were joined at the flying school by American Aviation Cadets. Every few weeks as each class completed the course, the pilots returned to Great Britain ready to take part in the war. By August 1945 when the program ended, more than 2,000 cadets had earned their wings and many life-long friendships had been established with the residents of Terrell. More than one third of the graduates were killed in combat. 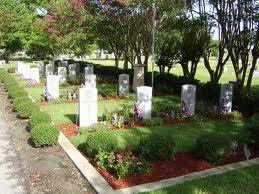 Twenty died during the training exercises and Terrell residents, who adopted the young men as their own sons, buried them in the Oakland Memorial Park Cemetery, which is maintained by the Terrell War Relief Society. Terrell’s No. 1 British Flying Training School Museum , the largest of its kind in the United States, keeps alive this little known chapter of World War II history. The museum collection includes logbooks, training materials, WWII memorabilia, and uniforms. 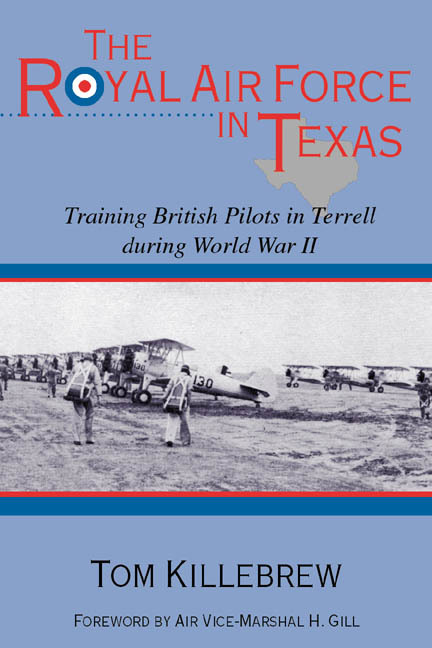 Tom Killebrew’s book, The Royal Air Force in Texas: Training British Pilots in Terrell during World War II, shares the history of the Terrell Aviation School. From dusk to dawn, travelers entering Austin, especially those heading to the downtown fun spots, often notice sprinkled all over the older part of town clusters of six moon-like lights glowing atop strange metal contraptions. The 165-foot structures are Austin’s Moonlight Towers. They started illuminating the central part of the city in 1894 when the City Council traded an unused narrow-gauge railroad to the Fort Wayne Indiana Electric Company for thirty-one of its 5,000-pound towers. The Moonlight Towers propelled Austin into the modern age of the 1890s along with other cities like Detroit, New Orleans, and San Jose, California. Today, Austin is the only city in the U.S. continuing to light its streets with Moonlight Towers. 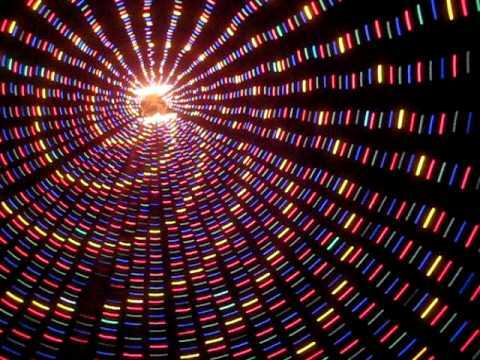 The towers arrived in pieces with assembly specifications requiring that the six carbon arc lamps in each structure spread a 3,000-foot circle of light bright enough to read an ordinary watch on the darkest night. Guy wires extending over streets and across neighborhoods secure the giant structures. Originally, each Moonlight Tower connected to its own electric generator at the Colorado River Dam. Some claim that many residents expected the blue-white lights to wreck havoc with nature, cause crops to grow 24 hours a day and hens to lay eggs around the clock. Apparently, only a few roosters refused to stop crowing. Although signs warn against climbing the towers, they have not been altogether safe. A short time after the lights began operating a workman fell to his death from the top of the tower at 9th and Guadalupe. 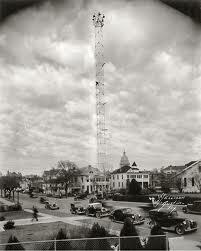 In 1930, an 11-year-old boy, on a dare, climbed the tower at Wooldridge Square. After viewing the city, the boy became dizzy and fell through the inside of the triangular-shaped structure, his body miraculously ricocheting from side-to-side. He completely recovered in a month. The city continued modernizing the towers over the years. Incandescent bulbs operated by switches at the base of each tower replaced the carbon arc lamps in the 1920s. Mercury vapor lamps were installed in 1936, and during WWII the need to quickly black out the city during air raids led to installing one central switch for all the towers. In 1993 all the towers underwent a complete overhaul, restoring every bolt, turnbuckle, and guy wire at a cost of $1.3 million. 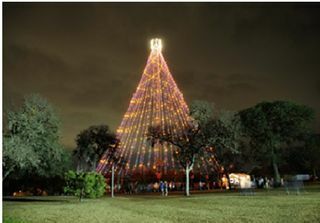 Several towers have been moved, including the one in Zilker Park, which is strung from its top with extra guy wires to accommodate over 3,300 colored lights fanning out at its base to form a giant Christmas tree. Although downtown construction forced the removal of two towers, the project manager at Austin Energy says both towers will be reactivated–one at a new location–at the conclusion of Austin’s building boom. 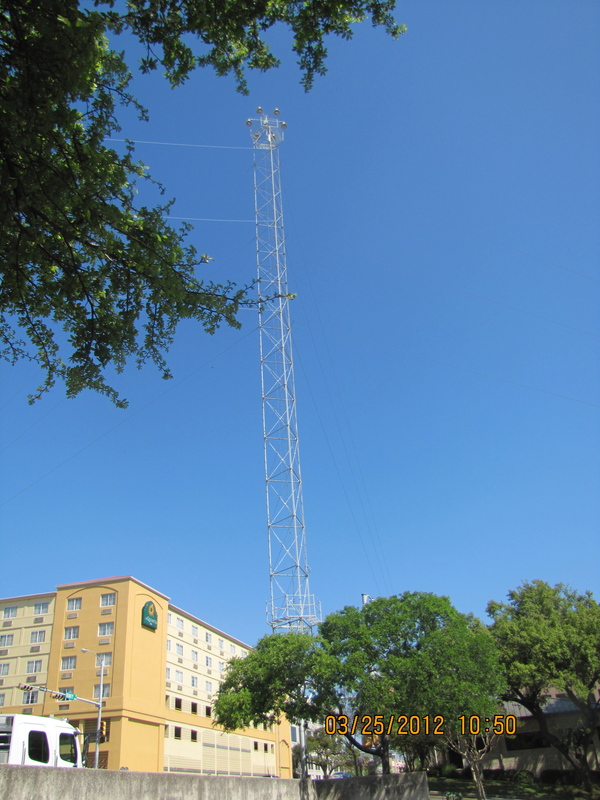 When all the construction dust settles, Austin will boast 17 functioning Moonlight Towers. Boasting is appropriate for the towers have earned designation as State Archeological Landmarks, and in 1976 the towers won a spot on the National Register of Historic Places. Today the Moonlight Towers send their soft blue light across the city. Even if alternative lighting proves more efficient, don’t expect Austinites to allow all the old structures to disappear. They are unique among cities, objects of curiosity, and bring back a romantic memory of days when the towers reigned as both fashion and technological marvels. I’ve decided to send this note to all my blogging friends. Legacy is finally out in paper. To take a look, click here: http://tinyurl.com/6pmdvvs. Legacy is historic fiction set in 1945 in a Texas coastal town. It is the story of a family in turmoil, told from the point-of-view of Miranda, age twelve, who struggles to protect the people she loves, understand the changes in her own body, and make sense of a world at war. I’ve had a few readers ask if it is my story. It is not. I grew up in an apartment near downtown Houston. My father was absent before the divorce. My second historic fiction, a tale set in old Indianola the thriving Texas coastal town that blew away in the 1886 storm, is finished. When the proofreader gets it back to me, I’ll try to figure out the next step. Thanks for your continued support and encouragemnet.